Public Power Daily is reporting that Utah Associated Municipal Power Systems, of which the city of Idaho Falls is a member, expects to make a decision in early 2017 on whether it wants to start the application process with the Nuclear Regulatory Commission for a combined construction and operating license for Small Modular Reactor development by NuScale Power on the Department of Energy's Idaho National Laboratory site. Here's a link to the story: UAMPS identifies preferred site in Idaho for small modular reactor project. A few things that jumped out at me. The project “is scalable, depending on how many UAMPS members are involved,” said LaVarr Webb, a spokesman for UAMPS, in a Sept. 7 interview with the American Public Power Association. 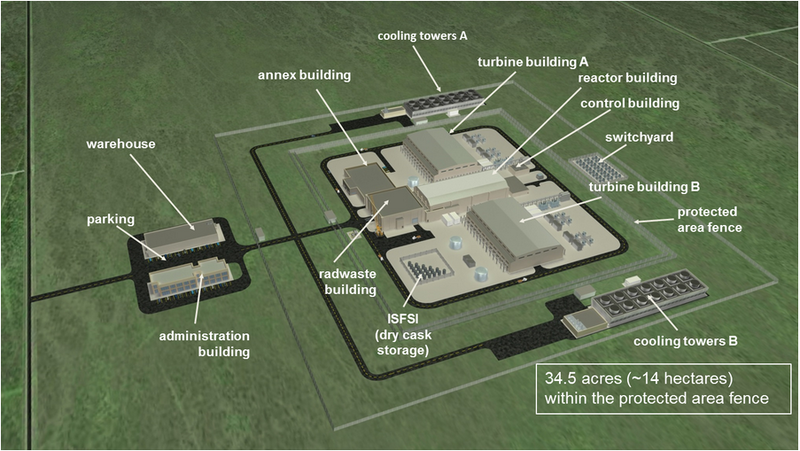 Each reactor would be rated at 50 megawatts and, if the maximum of 12 were put on the site the project would have a capacity of 600 MW, Webb said. The Utah public power agency has not decided how many SMR units it would want to have in order to go ahead with the project, but UAMPS “would want to get closer to 12” rather than go with just one or two reactors, Webb said. Idaho Falls Power has been looking for a source of affordable baseload power for at least 10 years. I remember the trip I took in 2006 with Mayor Jared Fuhirman, utility director Jackie Flowers (new on the job at the time) and the City Council to Delta, Utah, when UAMPS was looking to buy into a third coal-fired plant planned for the Intermountain Power Project site. Here's an Associated Press story from the Salt Lake Tribune that ran then: Idaho Falls may buy coal-fired power from Utah. IPP3, slated to be built by 2012, never got off the drawing board, but Idaho Falls' need for dependable, affordable power at critical times of the year, especially summer, has not gone away. Reliance on run-of-river hydropower from the dams the city built in the 20th century gives it bragging rights for renewables in its portfolio, but the longstanding relationship it has had with Bonneville Power Administration is changing. To me, building a new generation of nuclear power plants on the Idaho desert represents a return to our roots of sorts. This is where nuclear energy was pioneered in the 1950s. I know there is massive enthusiasm for it in Idaho Falls, and that it would create many, many new jobs. I'm curious to hear what our fellow Idahoans in Twin Falls, Ketchum and Boise are going to have to say about it, which is why I will be curious to see whether these SMRs can be built and online by 2024. Not to pour cold water on anyone, but have you ever seen what happens when lawyers start talking to each other? Wasn't it Eddy Arnold who had a big hit with the title Make the World Go Away? This would be a huge benefit to the community and state. I hope it comes through.